I described the start of this quilt ten days ago. Here’s the quilt top completed. Turned out to be a real challenge to distribute the colour when I tried laying out the blocks! 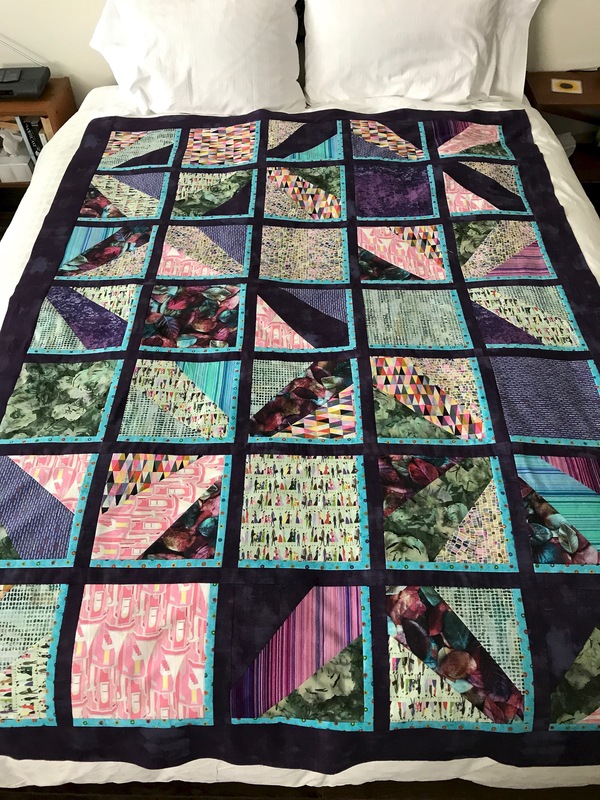 Because I had decided to use three different fabrics in each block, that meant I was continually running up against the same fabrics when I juxtaposed blocks in a row and across rows. I did a ton of swapping around to little avail because I would find that same fabric in an adjacent block. Also I wanted to alternate the diagonal blocks with fat pointed ends coming together in sets of four at the same time I was trying to distribute the solid blocks. In the end, I just started adding the contrasting turquoise sashing and stitching the blocks together in rows! That’s what you get when you’re not working from a pattern or a set of instructions but trying to improvise as you go along. The result is OK but not spectacular – I’ve ended up with clumps of colour rather than it being distributed more evenly. The problem would have been less severe had I elected to use fewer fabrics – twelve turned out to be too many. Now on to the back. I picked up more purple grunge fabric yesterday. I will need to create some kind of insert to widen the length of backing. I will have to look through my Pinterest collection of quilt back photos for ideas. It was sitting on a friend’s kitchen table. 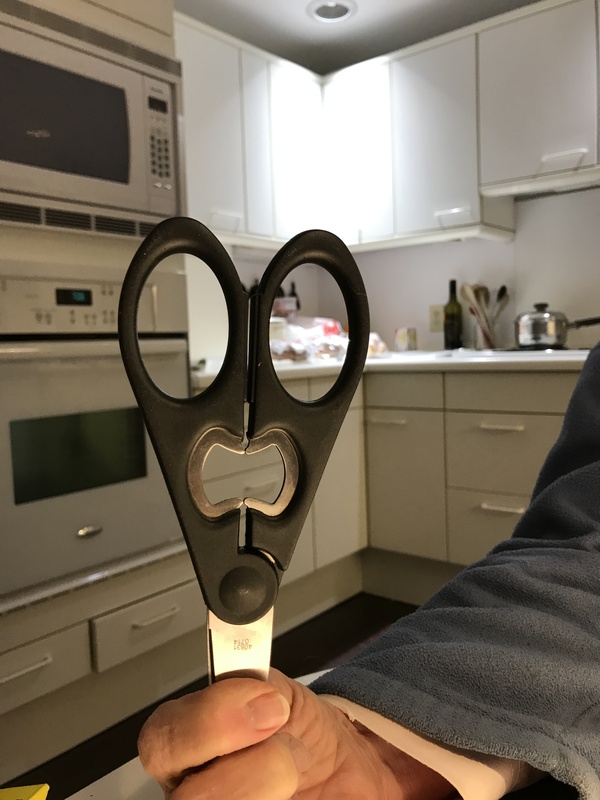 A rather scary face – mask-like – with big eyes and a grimacing mouth. I also saw an ad recently (can’t remember what it was for) that subtly used sink faucets as faces in the background. I’ll have to keep an eye open for it – not great advertising if I can’t remember who was doing the advertising! Hi there! just took a peak tonight. Love the site. !